Shoulder to shoulder with countries like the Netherlands, Germany, Denmark and the Scandinavia nations, Japan likewise features a great number of cyclists. The Japanese cycle for all reasons - for commuting to work, grocery shopping, sending their children to school, or simply to enjoy their surroundings. 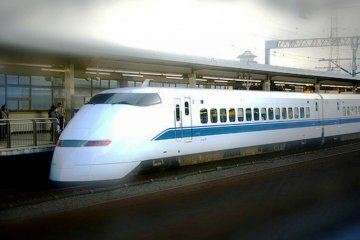 Imagine cruising down lanes flanked by cherry blossoms in spring while a shower of pink petals gently cascade onto you. 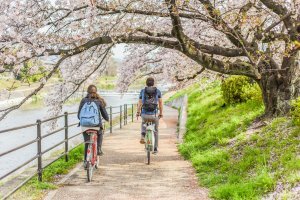 As a foreigner visiting Japan, you may want in on the cycling fun as a superb way to explore the country and sightsee (while avoiding the expensive train fares). Or maybe you just started your long-term residence in Japan and would like to get a bike for your daily life. 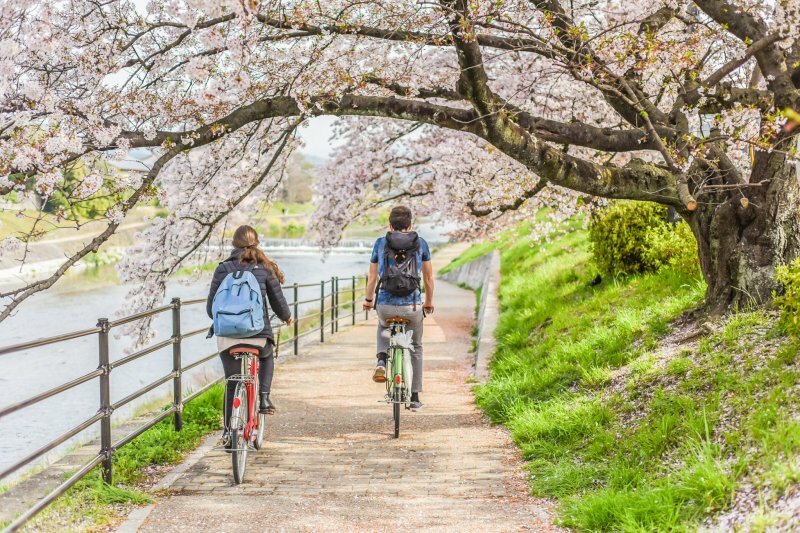 If so, read on to find out more about bicycle rules in Japan. Unless there are signs indicating it's okay to ride on sidewalks, you shouldn't do so. In general, stick to the road. However, depending on traffic conditions, it may be fine to ride on sidewalks. When you do, the speed limit is 10 km/h, which equates to a slow and steady 166.7 m/min at the fastest. In general, riding on sidewalks is only for under 13-year-olds, those over 70 or the disabled. In reality: Many Japanese cycle on the sidewalks - and often dangerously fast. While the law isn’t really enforced here, keep in mind that bicycles are classified as light vehicles, together with motor scooters. Ride in the direction traffic flows always. In 2013, due to an onslaught of cycling-related road accidents, the Road Traffic Law was revised. 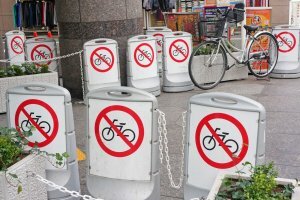 Since then, cyclists caught going against the flow of traffic would face up to 30 days in prison or a ¥20,000 fine! In reality: Occasionally, you may spot some who cycle in the other direction, but it is rare as it’s perceived as dangerous. That said though, keep the consequences of getting caught in mind if you’re thinking of doing so! No matter if you are on the road or sidewalk, keep to the left. In reality: Cyclists often weave through the crowd as those they are butterflies flitting about a flowering bush. Do you have the dexterity to do that? Or perhaps an armour and nine lives to protect you against bodies of steel when you’re on the road? It’d be much better to just keep left and avoid injuring yourself and others. Be it rain or shine, you aren’t allowed to hold an umbrella in one hand as you ride. In reality: Japan is an umbrella-loving nation that’s always ready to whip them out. When it’s raining, it’s not uncommon for cyclists to steer their bike with one hand while holding up an umbrella with the other. But save yourself the trouble and danger by getting a handy umbrella clamp for bicycles. Otherwise, ponchos are a great alternative. When you're cycling, you shouldn't be using your mobile phone or listening to music. Keep the distractions away so you can reach your destination safely. Riders under 13 years of age should wear helmets. As for adults, they are not obliged to. In reality: this isn’t one of those rules that is strictly enforced. While young riders are supposed to wear helmets, many don’t actually do so. After dark, it is a must to turn on your headlights and rear lights. Use your bell as and when it's necessary to warn others of your incoming presence. In reality: Ensure your lights are functional and turned on! Riding without lights at night will get you stopped by the police. 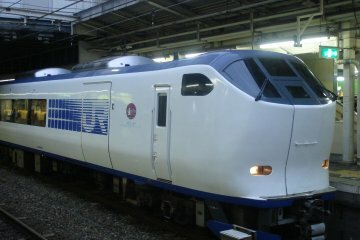 Bicycles aren't allowed on trains unless they are foldable. Upon reaching the train station, alight from your bike, fold it and put it away in a bicycle bag before carrying it with you. In reality: While your foldable bike may be allowed on the train, you may want to avoid the rush hour crowds which will save you from trying to squeeze onto the packed train with stares from the other commuters. As straightforward as it sounds. If you drink, don't cycle. 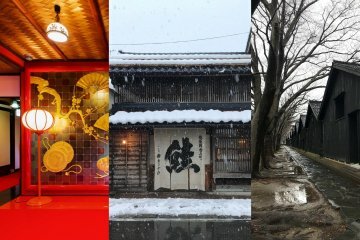 At best, riding while drunk can get you locked up for the night but in more serious cases, you could face up to five years in prison, a ¥1,000,000 fine, and even deportation as a foreigner. In reality: Drunken salarymen can occasionally be spotted swerving around wildly on a bike as they attempt to journey home. But really, why put yourself and others at unnecessary risk? Unless there are signs indicating cycling shoulder to shoulder is allowed, it isn’t. In reality: Cyclists often weave in and out of the crowd on the packed sidewalk. Don’t make navigation for your fellow cyclists or pedestrians even harder - keep to a single file or at least enough distance from other cyclists. Note that the law favours pedestrians, who generally have right of way and should not be obstructed – even on a cycling path. An exception to the rule is children under 6 years old who are sporting a helmet while in a child seat attached to the bicycle. In reality: Apart from small children being ferried around on the back of mom’s or dad’s bike, it is rare to see two on one bicycle. 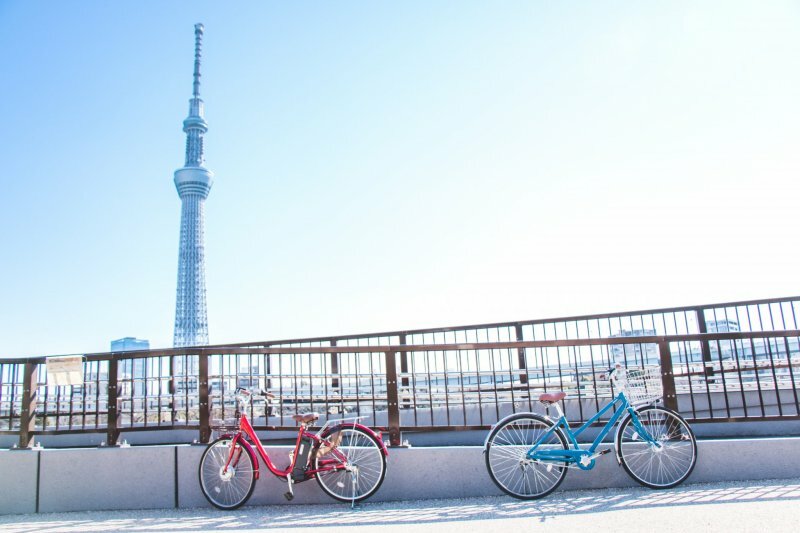 If you just acquired a bike, have it registered in case it gets stolen or "borrowed" by a drunken salaryman. If your bicycle is purchased at a store, you can get the staff to help you get it registered. If it's bought online, or secondhand, head down to the police station to register it. 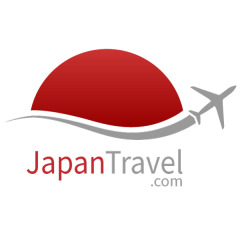 The registration fee is roughly ¥500. In reality: While bike theft is not that common in Japan as long as you do the basics such as locking your two-wheeler, getting your bike registered would save you great hassle if a policeman stops you in the street and asks you to prove ownership of your unregistered bike. In case your bike gets impounded because of improper parking, it’s easier to locate if your bike is registered accordingly with the authorities. Cycling is a great way to sightsee but you don't necessarily have to join a bike tour to get started. 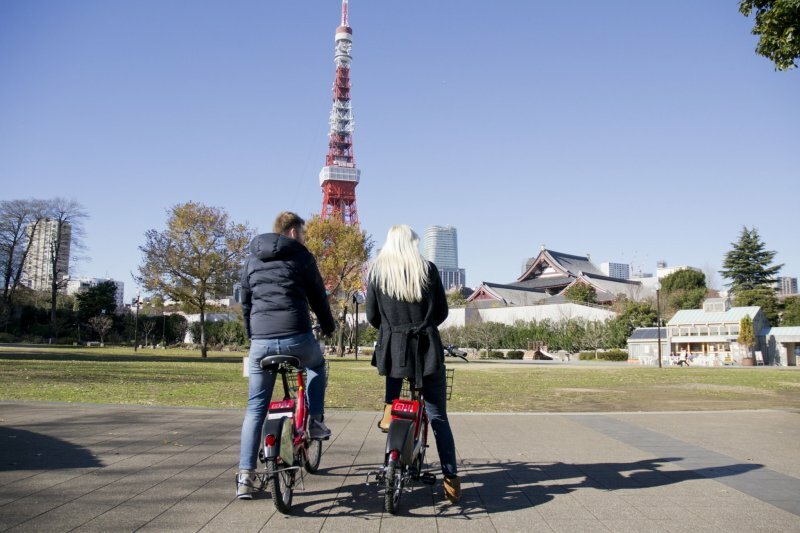 In Japan, rental bikes are common and as bike sharing gets increasingly popular, you'll have even more ways to get around the city! 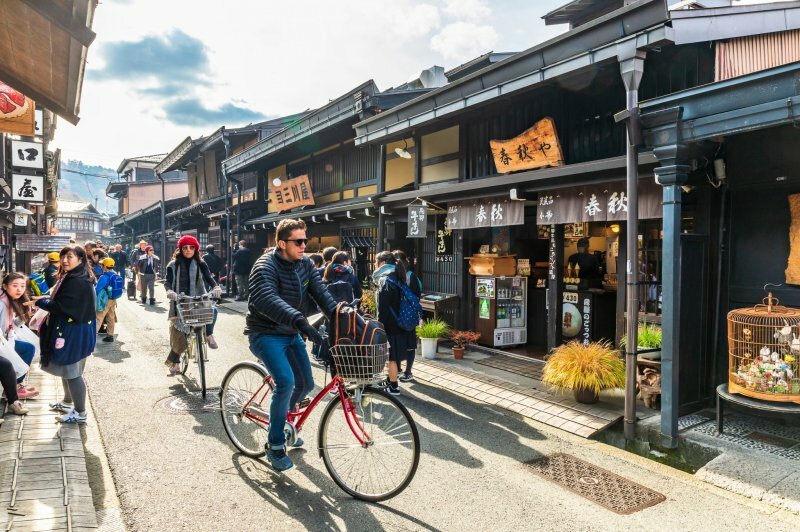 Hop on a Japan Travel Bike with a one-day pass that lasts until midnight to explore major cities like Tokyo and Osaka. When it comes to parking bicycles, it's worth bearing a few things in mind. Parking your bicycle in a prohibited area may see you get a warning ticket or towed away if left for a long time. Many districts within Tokyo, for example, try to prevent bicycle parking/locking on sidewalk rails. This is usually less of a problem for rental cycles only parking temporarily, but more for those with have their own bike e.g. for commuting to work. 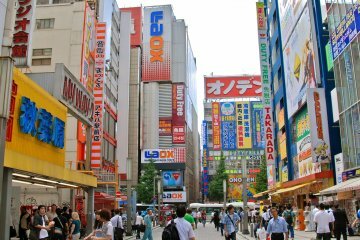 Around train stations and shopping malls, there are usually designated parking lots. Some are free and open-air while the sheltered ones may be charged. Parking fees can be calculated for short-term and long-term usage. For short-term use, you can choose to pay by the hour, and the parking fee is always rounded up to the nearest hour. Alternatively, you can choose to pay for an entire day of parking. The parking hours are usually from 5am to 12am. As for long term use, more economical parking plans are usually available but often limited on a waiting list system. While cities may be more strict about improper parking, rural areas may be more lax about it, allowing cyclists to chain their bicycles to sidewalk railings. 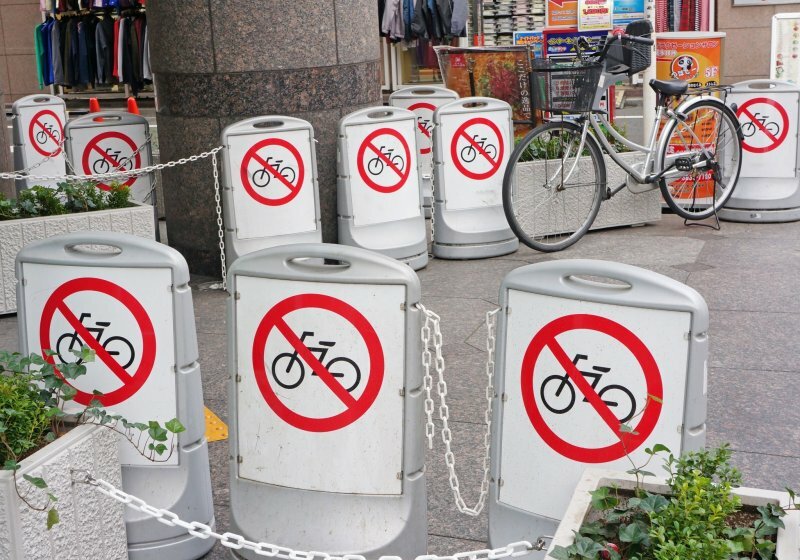 That said though, always look out for the “no parking” sign (“駐輪禁止") and be considerate where you choose to park your bike! While you may observe many Japanese cyclists flouting the laws mentioned above, remember that they are doing so at the risk of suffering repercussions and also putting others in danger. Overall, aim to be a considerate and alert cyclist who behaves responsibly for your own safety and those of others! I literally laughed out loud at the point about umbrellas because I've seen it done so many times! You've gotta admire the dexterity, even if it's dangerous!